At TLC New York City LASIK, we are committed to always doing what is right for our patients. It is this commitment to clinical excellence and patient-centered care that distinguishes us from our competitors. The TLC New York City LASIK Center is home to one of the leading corneal and laser vision correction surgeons in the field, Dr. Mark Speaker. Dr. Speaker has performed over 50,000 LASIK and PRK procedures since 1994. Dr. Speaker is supported by our Clinical Director Dr. Siegal, who oversees ophthalmic testing. Located in the heart of Manhattan, the TLC Laser Eye Surgery Center is convenient for patients in NYC, New York state, and those traveling from anywhere wanting to experience the trusted, exceptional LASIK patient care provided by TLC Laser Eye Centers. Schedule a Free LASIK Consultation in New York City today! Chelsea Vision Associates uses digital imaging & wavefront technology to offer the best possible outcomes for all our refractive & surgical cases. Dr. David Gross received his degree from the SUNY College of Optometry in 1987 and has been co managing LASIK with TLC Laser Centers for over 15 years. Dr. Horowitz is a past president of the New York State Optometric Association as well as the past president of the Optometric Societies of the City of New York, an affiliate of an American Optometric Association. He received the CIBA Vision award for excellence in contact lenses. Dr. Raymond Pirozzolo is a recent graduate of the SUNY College of Optometry where he received his Doctor of Optometry degree. During his time as an intern, he served as a civilian doctor at the Keller Hospital at West Point Military Academy. He is also a graduate of Manhattan College. Dr. Nadine M Jamal graduated from Trinity College with a BS in Psychology. She received her doctorate degree from SUNY College of Optometry where she graduated with honors. She is an associate in a private group optometry practice on the upper east side. Dr. Thau is a nationally recognized lecturer in the area of infant’s and children’s vision. As a spokesperson for the American Optometric Association, Dr. Thau has been featured on national television, radio, and print to educate the public about eye and vision care. Dr. Thomas is a graduate of the State University Of New York College of Optometry. She was the recipient of the Scheumacher Merit Scholarship and Development of the Humanities Scholarship. 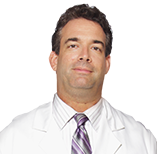 Dr. Thomas was one of the original center managers of the New York TLC Laser Center. Experienced in leading Doctors and technicians to deliver an elevated level of patient care. We specialize in contact lenses and the diagnoses and treatment of ocular surface disease. Our skilled team of doctors prescribe the latest advances in soft and gas permeable contact lenses. 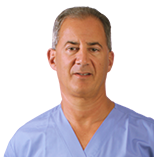 Dr. Gentile attended the State University of New York at Albany, graduating in 1994. He continued on to the State University of New York College of Optometry, graduating in 1998. Dr. Gentile specializes in contact lenses and has a practice in both Chappaqua, NY and in New York City. Dr. Bryant has consistently implemented the latest cutting edge technologies. From digital imaging to wavefront technology, Dr. Bryant strives to offer the best possible outcomes to his refractive and surgical cases. He has also become intimately familiar with unique ocular challenges.